Very little in life is what we think it is, especially grief. In the three weeks since my mother-in-law died, I’ve ridden a pack of panoramic emotions in between sudden bursts of phone calls, crazy-dreamed-nights, bouts of exhaustion no coffee can conquer, plus external the wilds of weather and circumstance. We had a blizzard that knocked out our electricity for 9 hours about a week ago, my son and some other people I love each lost their jobs, and a number of friends have been struggling with illness, grief, and loss. In short, it’s been a time. While I’ve had experience traversing the giant, naked parking lots of grief — where it’s impossible to remember where I parked my car, why I ordered the wrong thing for breakfast, or how to adult-up in the morning when there are lush blankets and a sleeping cat — landing here again is still a kick in the gut. I pad the hard edges with creature comforts — movies, books, making big soups in the crock pot, more episodes of The Great British Bake-Off, and most helpful of all, talks with Ken and friends. I dye socks and t-shirts as I had planned. I work in fits and starts, seriously consider power-cleaning the bathtub, and then decide it’s too much work. I don’t have adequate words for where I am although one image keeps coming to mind: a rowboat without oars in the middle of a cold, foggy, overcast lake. This makes particular sense to me since my mother-in-law was such a daily part and anchor of our lives, living almost near door and needing a lot of home care, even if it translated most days for me into simply dropping by for a minute to say hello or picking up one of her many prescriptions. Trying to take my rowboat self into prime time is a little dicey at moments — to paraphrase a line from the film We Bought a Zoo, other people’s happy feels too loud at moment, yet working one-on-one with people or on projects in this computer seems to fit just right. So does watching the flicker bang the side of the cottonwood outside the bedroom window as well as holding the cat while watching an ungodly amount of movie trailers. For the last three years, when my mother-in-law was on hospice (until they kicked her off for not dying), I alternated between freaking out that she was going to die, being at peace or in pieces over it, thrashing against then completely embracing the weight of our family being caregivers, and many manner of other responses. It seemed impossible her life would end after so many close calls, but what anything seems is sometimes just a dance of our thoughts and thinking. I remind myself that this is a stretch of time that was always going to be beyond what I could have imagined, but then again, so many things are. For years, I had feared us losing electricity and being snowed in, but when it happened last week, the house stayed just warm enough, the gas stove still worked enough for me to whip up (by candlelight) a great pork chops and mashed potato dinner, and Ken and I enjoyed blanketing ourselves with throws, good books, and phone calls from old friends. Then, when it seemed like we might have an increasingly cold night ahead, the lights returned, surprising me again. Grief is like that too; I can’t do much, but I can make a big pot of soup, find something to engage in, and keep warm enough until the lights come back. 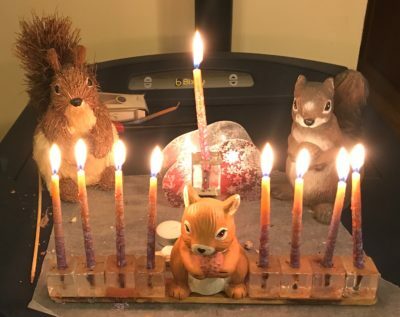 In the meantime, there is Hanukkah, so I’ll take some comfort in striking a match and lighting a candle in the darkness, a reminder that life is much vaster than what I can imagine, and so is love. 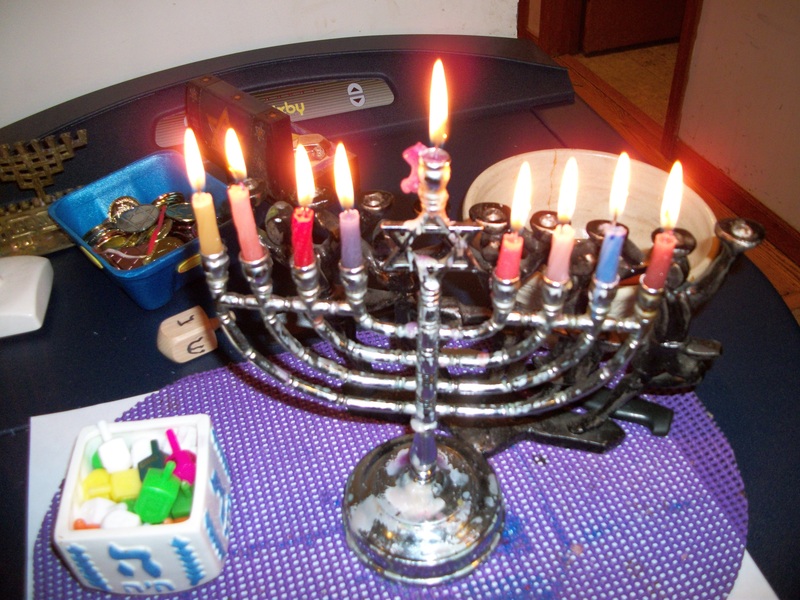 Last ni ght as I watched the Hanukkah candles burn, I thought about how quickly the shortest day of the year is coming toward us, like a wave of darkness that will sweep past, turning the light back around. Despite the insanity of Holiday pressures coupled with ends of semesters in high school and college and other Decemberings, there’s something very sweet, quiet and deep about this darkness. It’s a sweet darkness in a way, a time when the expansive spread of stars — more visible on a cold night — reminds me that my life is not simply between me and those I love, or my fingers and this keyboard. It’s larger, less known and more cialis online authentic mutable than I can imagine. 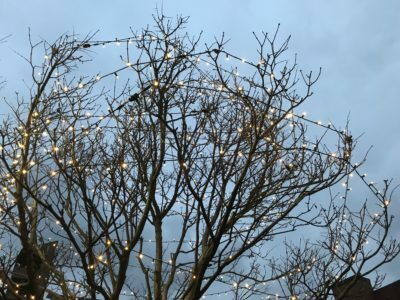 David Abram, in his book The Spell of the Sensuous, writes about the sweet and vast darkness at the intersection of our perceptions, stories and the living earth. A friend of mine in Canada once told me of her ritual to stay up on the Solstice, eating a meal with friends in the middle of the night to celebrate the longest night. All of this points me toward cultivating some spaciousness and readiness to be with the longer and then longest night, to step out of the ordinary and peopled shortening days and feel the larger turnings of this beautiful world, even and especially at night. It was an everything kind of weekend: my birthday, our annual Hanukkah party, a writing workshop I was leading for people with serious illness, and art-making, and the weekend played out along the lines of my extrovert-behaving introvert-trying-to-get-in-ways. 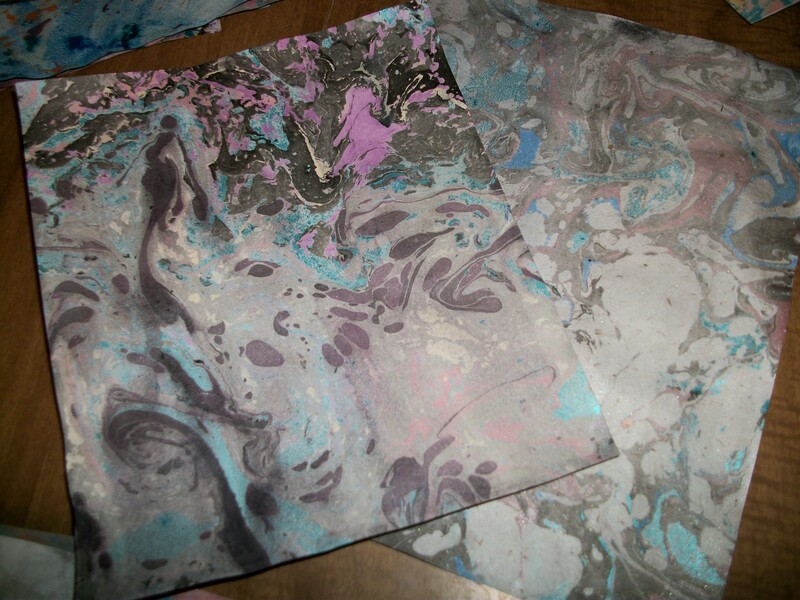 On Saturday, I celebrated my birthday by sleeping late, drinking coffee in the bathtub (as usual), and then marbling paper with Kris for hours. Marbling, something I never did before, is an amazing art: you basically drop colors onto water (thickened with cornstarch), and swirl without blending the colors, then lay paper onto the surface of the liquid, lift it up again, and voila! You have marbled paper. It’s an art made of time (how fast you add color is huge — too long, and the color disperses), chemical interaction (some colors disperse faster or slower), and especially mystery. I loved the quiet and meditative nature of playing on the surface of water. Today was a turned-out day — I ended up driving home from leading a writi ng workshop in Kansas City for people living with serious illness to stand over the frying pan next to Carmel, 17-year-old genius, sweetheart and pal, to fry latkes, but not before taking the long way home. Not so much on purpose, but maybe so, I ended up driving about fifteen minutes out of my way in the rural stretches between Kansas City and through southern Douglas County, watching the Wabi Sabi beauty of the wintering world at twilight. I carried peace from the courage and beauty of what the people in the writing workshop created, and love for the friends who would soon be heading over to our house to eat and visit. 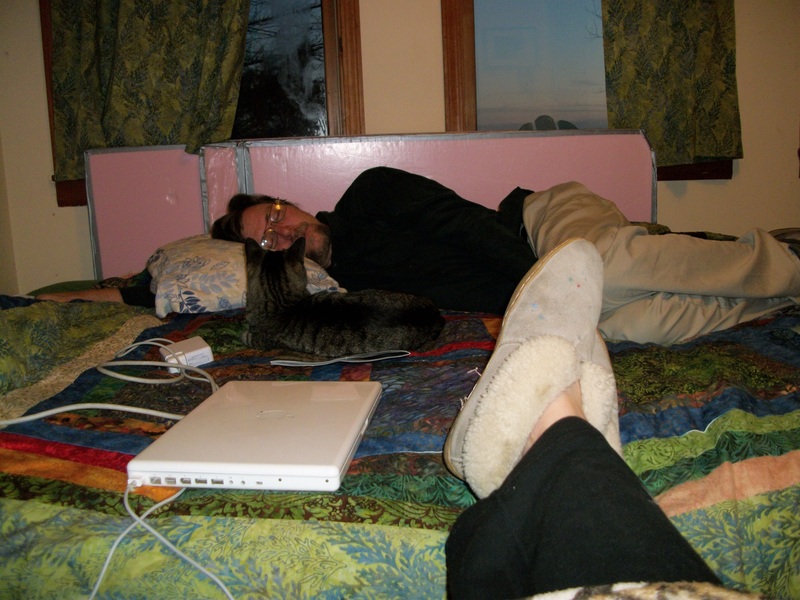 Some latkes and other delights later, I’m sitting in the shining quiet of this bedroom, our mostly-mean cat actually being kind at the the moment as she blinks her eyes at me and doesn’t threatened to run or attack. Whoever I am is happy.